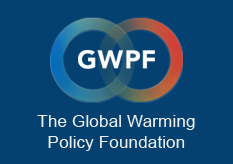 The Global Warming Policy Forum (GWPF) has welcomed the news that onshore gas exploration firm Cuadrilla has completed the drilling of its second shale well. The well, at the company’s site in Preston Hall in Lancashire, could represent the start of a revolution in the UK’s energy supply, reducing dependence on gas imports and providing cheap raw materials to industry across the UK. In 2007, Cuadrilla was granted a licence for shale gas exploration in Lancashire. Eleven years later, not a single cubic foot of shale gas has been extracted.